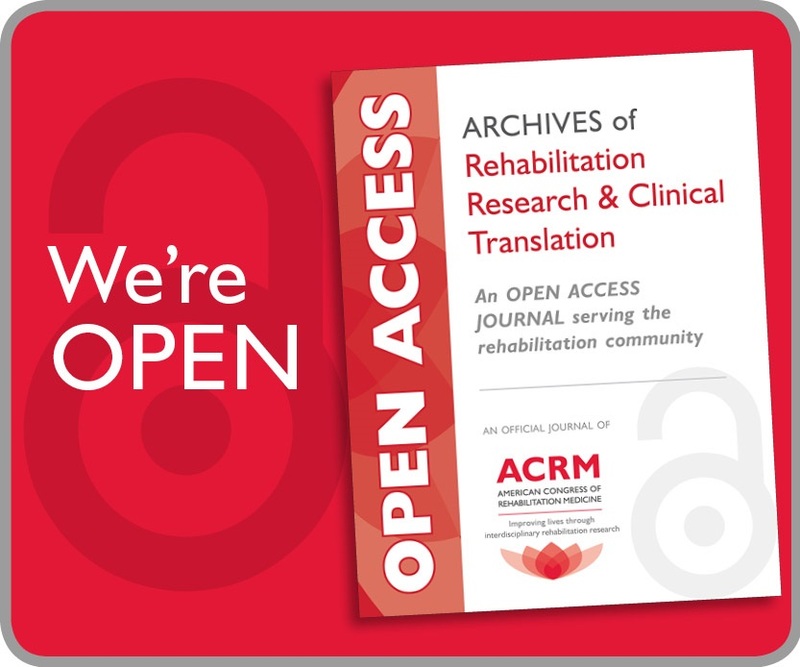 ACRM interdisciplinary special interest groups, networking groups and committees created or compiled the following complimentary resources for use by rehabilitation professionals. Please bookmark this page and visit often. 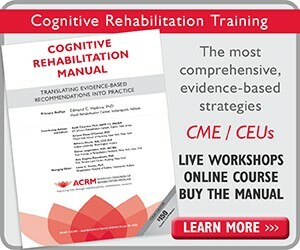 professionals who provide cognitive rehabilitation to brain-injured patients. 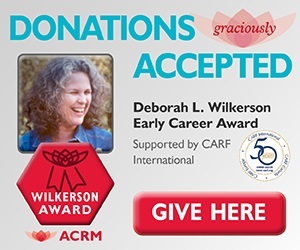 The definition was developed by the Mild Traumatic Brain Injury Task Force of the ACRM Brain Injury Interdisciplinary Special Interest Group (BI-ISIG) and was translated into seven additional languages in collaboration with the ACRM International Networking Group. Assessments and scales to determine a patient’s functionality and level of consciousness after brain injury, creating consistency in the evaluation of brain injury rehabilitation and assessment. The Rehabilitation Research and Training Center (RRTC) on developing strategies to foster community integration and participation (CIP) for individuals with Traumatic Brain Injury (TBI). The primary operational TBI component of the Defense Centers of Excellence for Psychological Health and Traumatic Brain Injury. Information for healthcare professional treating older adults with complex, chronic diseases and disorders. 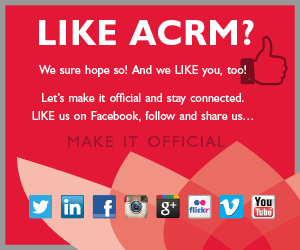 The ACRM Communications Committee has developed a new feature, Information/Education Pages, which appear in the Organization News section of Archives of Physical Medicine and Rehabilitation. These fact sheets are printed as tear-out pages. 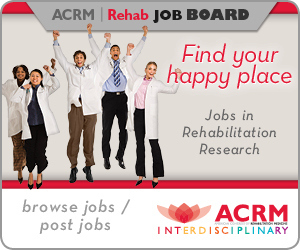 They are designed to provide consumer-friendly information on topics relevant to rehabilitation medicine, including basic background or overview, similar to a Wikipedia entry, or brief how-to suggestions. They are targeted toward people with disabilities, their caregivers, or clinicians; and are designed so that a practitioner can tear out and copy, or download the pages, to make them available to patients and caregivers. Promotes the science of outcome measure, providing information on medical outcomes research, instruments, and publications. MR3 NetworkThe MR3 Network comprises six resource centers around the United States. 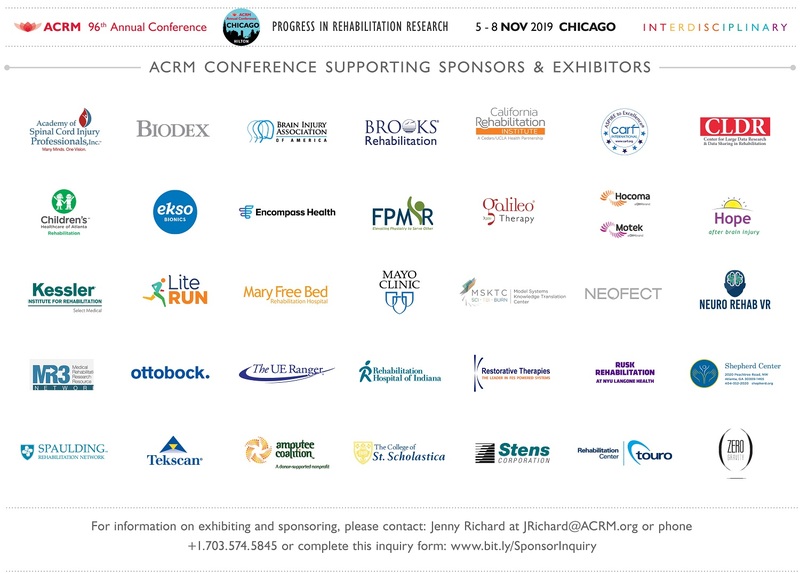 These centers provide infrastructure and access to expertise, technologies, and resources from allied fields in order to promote multidisciplinary collaborations, develop research opportunities and enhance the capability of medical rehabilitation investigators to understand mechanisms of functional recovery, develop therapeutic strategies, and improve the lives of people with disabilities.These resource centers are funded by the National Institute of Child Health and Human Development (NICHD), through the National Center for Medical Rehabilitation Research (NCMRR), the National Institute for Neurological Disorders and Stroke (NINDS), and the National Institute of Biomedical Imaging and Bioengineering (NIBIB). University of Alabama at Birmingham (with Baylor College of Medicine). This resource is applicable for providers serving a wide range of populations and age groups. The resource aims to provide a first-steps framework for healthcare professionals to assess, intervene in, and monitor suicidal behavior within their respective scopes of practice. It provides information and resources for acquiring specific competencies for preventing suicide, including training, screening/assessment tools, and safety plan development.